it happened to be one of those moments where life was beautiful. sitting in the back seat of a cab, speeding south on Lake Shore Dr. with the windows down and the cool breeze of Lake Michigan whistling through the windows. i was headed to my appointment at Big Girl Makeup Bar & Spa to enjoy a "Gelish" manicure. Kiley, owner and creator of Big Girl Cosmetics, had invited me to the spa. having read about the upcoming release of these products in stores such as Macy's and ideeli.com, my curiosity was piqued to check out home base for Big Girl Cosmetics. i arrived in Hyde Park, an area of Chicago, which seemed to be pulsing with an urban vibe. the noise of traffic and construction faded as i stepped through the doors and was greeted by Mocha, who patiently waited for my indecisiveness while selecting a polish color. Mocha explained the "Gelish" manicure is several layers of polish, hardened by a UV light, with results that last 10-14 days. count me in. during my mani i discussed the line of Big Girl Cosmetics with Kiley who explained it is a baked mineral makeup. 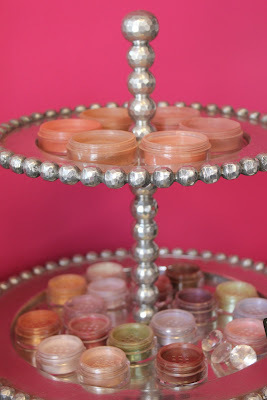 according to Kiley, "if Bare Minerals and MAC had a love child, Big Girl Cosmetics would be it". 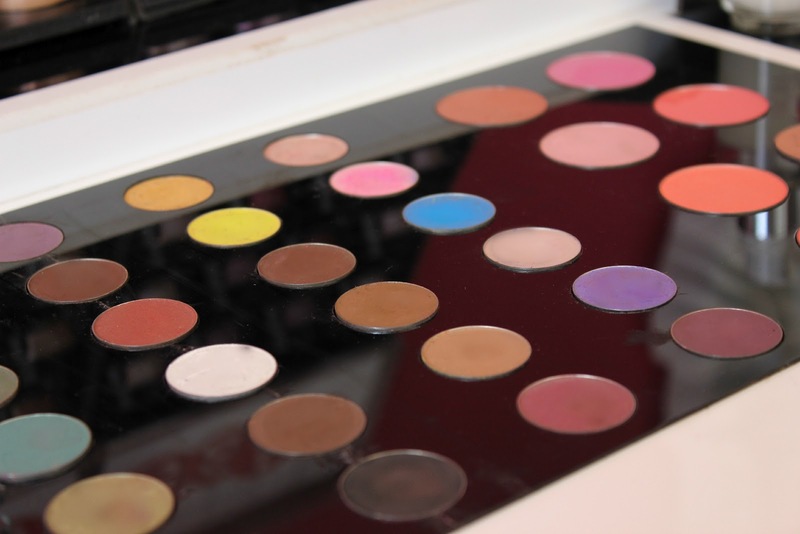 with vibrant colors, a full range of products, and a makeup bar that is decidedly inviting, Big Girl Cosmetics offers something for everyone. excited about the direction the cosmetics line is heading, Kiley continued to explain that this is a project she has been working diligently on for the last seven years. her hard work is beginning to pay off as Big Girl Cosmetics is becoming available nationwide. i was sad to leave the bright display behind but i quickly captured a few pictures to share. i thanked Mocha and ran out the door. i'm not used to city living and i had an express bus to catch.